For those not familiar with it, periodontal disease is a disease of the gums that can lead to the damage of the soft tissue and bone structure that hold your teeth in place, resulting in TOOTH LOSS. When periodontal disease progresses this far, extreme measures may need to be taken in order to stop the damage it causes. Periodontal surgery, also known as osseous surgery, can be performed on your gums as an option for treating periodontal disease. There are four different types of periodontal surgical treatments that are commonly prescribed. A pocket depth reduction surgery attempts to treat periodontal disease by opening up the gums, cleaning the tartar underneath and any inflamed tissue that surrounds the teeth. These spaces, called "pockets", allow bacteria to enter and eventually wear down the connective tissue and bone until the tooth is made completely loose. Pocket reduction procedures stop the destructive effects of periodontal disease by folding back the gum tissue and removing the bacteria. With the pocket is free of bacteria, your periodontist can secure the connective tissue back into place and allow the patient to clean the area better as well. Regeneration procedures work similarly to pocket reduction surgery in that the gums are opened to remove the disease-causing bacteria. But your periodontist can encourage your body's natural ability to regenerate tissue and bone to reverse the damage caused by periodontal disease through the use of membranes, bone grafts, or tissue-stimulating proteins. This procedure will remove the disease from your gums, put bone back around your teeth, and even put them on course to restoration. Crown lengthening and soft tissue grafts are two cosmetic treatments used to reverse the physical changes in your gumline. Crown lengthening is done when you have deep decay on a tooth that goes beyond or to the bone level. This gives the dentist room to place a crown on your tooth and keep the tissues healthy. Crown lengthening is also done to give front teeth more length when patients want to get rid of a "gummy smile". 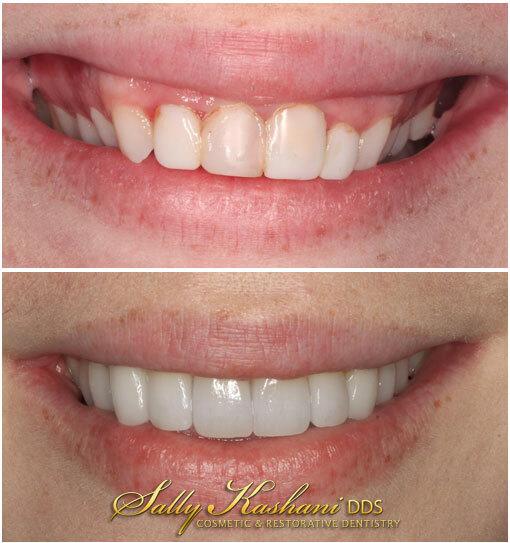 Veneers can be added for a great esthetic result. Soft tissue grafts can repair your gumline if it has receded back on your teeth and revealed more tooth structure than normal. Soft tissue grafts can also reduce the sensitivity of your teeth. These two procedures are mostly cosmetic and may not remove the bacteria in your gums that have caused your periodontal disease.